In Europe and in the US, leverage in forex is capped by the regulators, but there’s plenty of room for most traders. If you invest $2,000 in forex trading, and you deposit on your MT5 platform, with your broker, you are actually making trades in much larger amounts than that. The $2,000 you put down is added to a large lot or pool of money that the trader puts into the same kind of trade you are making. To understand how this works, think of the $2,000 you put down not as being worth $2,000, but as representing a much larger sum. The leverage ratio that you choose when you start trading with a forex broker determines just how much that $2,000 represents. The nice thing about investing in forex is that you can obtain far more leverage, and thus potentially make much more money than you could with the same amount on the stock market. The maximum on the New York Stock Exchange (or any other US-based equity trading exchange) is 2:1, but in the US, the National Futures Association (which regulates forex trading along with the CFTC) limits maximum leverage to 50:1 on major-currency trades (it can be lower on specific high-risk currencies like the Turkish lira). In Europe, the maximum is 30:1 percent, as defined by the European Securities Markets Authority. One of the great advantages of the forex market over stock markets is that you have the freedom to use more leverage. But be aware: Use more and you can lose more! It works like this. For every $1 in your forex account, you can control up to $50X with leverage. For instance, 10:1 leverage means you control $10 for each $1 in your account. If you have $1,000 in your account this means that you can control $100,000 in positions. When using leverage in forex, you have to leave a margin. This is a deposit in real money that the forex broker keeps for safety. If you deposit $1,000 with your broker, the broker will keep $100 as a margin (the margin rate is 1 percent in this case). So, suppose you bet that the British pound (GBP) will strengthen against the US dollar (USD) – you’re betting on the so-called Cable, named after the big wire that used to run under the Atlantic from New York to London which carried trading info. 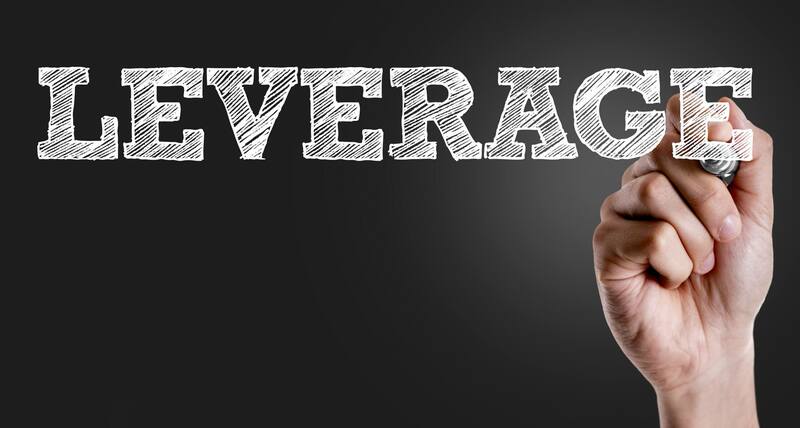 With leverage at 10:1, you are controlling $10,000 in trading funds. assuming that the margin rate is 1 percent, and that leaves you with a usable free margin of $900. Should your trading losses exceed $900, the broker will stop you out of the trade automatically – this is referred to as a margin call and it is not good for your financial health. So use a stop-loss to get you out of a losing trade at a point below that in which you lose all your money. Margin requirements differ from broker to broker. Some forex brokers offer very reasonable margin rates as low as 0.2 percent on most currency pairs, as well as flexible leverage options ranging from 1:1 to 1:50. Set your leverage at a level that you are comfortable with, one that will not exceed your risk capital if you have a bad run of trades. The rule that forex professionals use is never to risk more than 2 percent of your account at any given point. In fact, it’s wise to cultivate a healthy respect for leverage in forex. Be as careful and prudent using it as you can, at the start, for it will eat up your forex trading account in no time. Again, stop-losses are the surest way to manage leverage in forex. Remember: It’s wise to get out of a bad trade as soon as you can – holding out in hope that it will somehow go right is a very poor trading strategy. Take your loss, get back in the saddle, and earn it back. Your broker should support a prudent forex trading strategy and help you to build one. Brokers are incentivized in this by new rules on transparency. These rules, which date from a few years back in the US when the CFTC introduced them, and which came into force with ESMA regulations in Europe only recently, force brokers to display the percentage of clients that lose money. The rate of losses reflects on the brokers’ execution of trades, how they work with their clients, the level of education, training onsite, etc. When you are choosing your forex broker, this is clearly a factor to keep in mind. Understanding the margin and leverage you are using is a key factor in succeeding as a forex trader. Make sure you are clear about every aspect of these concepts before you click on the ‘start button’ and the trading begins.